On May 1, 2016, the Baltimore Immigration Museum opened its doors, commemorating the hundreds of thousands of people who chose Baltimore to begin a new life in the United States. The new museum, located at 1308 Beason Street in Locust Point, shares Baltimore’s immigration history and highlights the different nationalities and ethnicities that came through the city’s immigration station. For almost 200 years Baltimore served as a major port of entry for people who crossed the Atlantic Ocean in search of a new beginning. Many were simply passing through on their way to somewhere else; many others put down roots here, making the city a tapestry of cultures. The city’s immigration center at Locust Point became one of the nation’s busiest: from the 1870s to 1920s, more than one million immigrants entered the United States through its terminals. The museum location has a unique tie to the immigration story: from 1904 to 1914, immigrants who needed temporary housing before moving on to their final destinations used the building for shelter. It is one of the last immigrant houses in Baltimore still standing. In 2013, the non-profit Baltimore Immigration Memorial (BIM) partnered with the buildings owner, the Christ United Church of Christ, to establish a museum. The museum is a short walk from the immigration memorial and Liberty Garden at the end of Hull Street, close to where the immigrants’ ships docked and disembarked passengers. 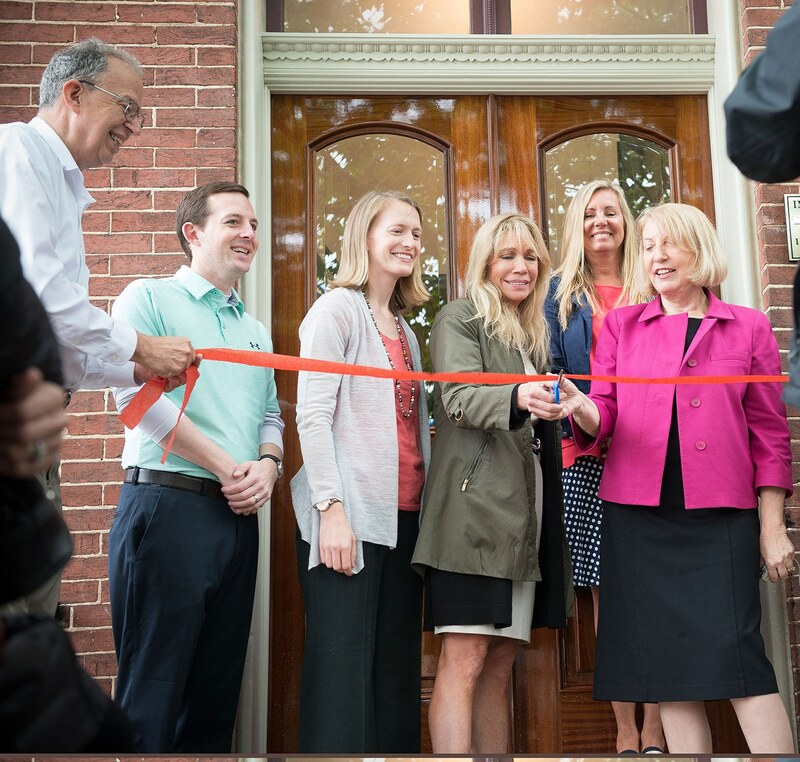 The Baltimore Immigration Museum opened on May 1, 2016 with a ribbon-cutting ceremony. From left to right: BIM Treasurer Nick Fessenden, State Senator Bill Ferguson, State Delegate Brooke Lierman, BIM Past-President Mary Zimmerman, BIM Secretary JoAnn Best, and BIM President Brigitte Fessenden. BIM was one of the first recipients of the heritage area’s Heritage Investment Grant program. The heritage area support (more than $8,000) helped fund the creation of the museum’s exhibit panels. Eleven large panels contain text and images and chronicles the arrival of the Irish, German, Poles, Jews, Czechs, Lithuanians, Greeks, and Italians who came through Locust Point. The Baltimore Immigration Museum is open weekends from 1 pm to 4 pm; admission is free, but donations are warmly welcomed. Plan a trip to the Baltimore Immigration Museum and discover more about this important and fascinating part of the city’s history. You’ll see firsthand how BNHA’s Heritage Investment grants make a difference in sharing Baltimore’s history.